Photo courtesy Harley Davidson: HD Livewire Motorcycle, part of the 4 year Harley Davidson Electric Motorcycle Electrification Plan. Harley Davidson, the 115 year old motorcycle company known for its big engined low revving low tech highway cruiser motorcycles adorned with lots of chrome and luster, but frankly very little elegance, is losing a ton of money because the younger generation see no appeal to their product. -Their customer demographic is either getting too old or too dead to continue riding or buying. -Their products are perceived as low tech antiques made for a dying generation. -Their line of licensed accessories and non-motorized products are not going to carry them through. -While having and in fact sharing a similar customer base like Ferrari, Lamborghini, Bentley, Rolls Royce, or even Tesla with well to do middle class and wealthier customers who could afford at least a lower end model in their range, or buy an SUV so they can financially continue to build sports cars, Harley Davidson has nothing similar to offer that forces them to change demographics. -After the investment bank crash and Great Recession of 2008, Harley Davidson never recovered to see a steady decline in sales. -With the advent of new AI driverless and electric technology that motorcycle start ups are willing to use both on motorcycles, Harley Davidson saw the writing on the wall as a wake-up call. Here again is another iconic luxury brand so historically connected to its country where its base is located and where blue collar jobs are at stake, while facing a financial crisis on its way to bankruptcy. Like Rolls Royce Motor Cars and Harley Davidson once did before, both in the 1970’s, and in many ways Tesla Inc. now in the 20 teens, Harley Davidson is at a cross roads in trying to appease a customer base while the rest of the motorcycle market frankly doesn’t share the same taste. Harley Davidson has become either by design or by consequence or both, too niche to survive in its present state. And once you’re niche, it’s hard to go mainstream without cheapening your brand. This is the current crisis facing Harley Davidson Motorcycles of Milwaukee WI as they endure their most serious financial quandary since the 1970’s as they faced bankruptcy then under AMF ownership. And with what they’ve been through over the years, facing serious and troubled times, it would be a shame if the storied motorcycle company, a luxury brand so cleverly and closely identified with the heart and soul of blue collar America, were to face extinction. According to the Motorcycle Industry Council, since the Great Recession of 2008, motorcycle sales have dropped 50%, with a sharp ridership decline in those in their 40s and younger. The good news is that female ownership is taking hold as ladies like the smaller lighter weight models. But the market clearly now belongs to their fathers: the baby boomers who’s “Live to Ride” days, as this is Harley Davidson’s motto, are coming up on the horizon and soon quickly coming to an end. It seems when every luxury brand has a financial or identity crisis they whip out a product that hits a sweet spot to get its maker to hit the reset button to get going again. Ferrari and Lamborghini saw the writing on the wall that their customers can’t continue supporting them with just sports cars, so they held their nose and followed Porsche’s example to put a high heeled SUV in their model ranges. When Volkswagen took over Bentley at the turn of the century, instead of going upmarket to appeal to the oil sheiks they took a page from their VW people’s car book and went down market by first introducing the Continental GT at the bottom end of their range, and then really whipped it out jumping up to the next tier with the Continental Flying Spur saloon, their most popular selling car that isn’t even their top of the line. Three years later Tesla would steal some of their thunder and base by putting some of Bentley’s environmentally conscious customers into the all electric BEV Model S and X vehicles, for Tesla to actually rip that same page out of Volkswagen’s hands from the same people’s car book when it came time to start making the Model 3, albeit a process. And now, here we have Harley Davidson, a luxury brand like they all are, that builds and sells specialized unique motor vehicles in a boutique way in a niche market like they all do, who in some way share a common customer base that all these companies do, facing the same technological changes they’re all confronting, but in a slightly different dynamic with the kind of product they make. The motorcycle market is a different beast than building and selling cars. The plot thickens and the stakes are now raised: electric battery and driverless AI technology is coming to cars and motorcycles too, and alarmingly, HD is underprepared. It’s seems though HD is getting the message and is cranking it up. CFO John Olin at a conference call: Harley Davidson “expects to spend an incremental $25 to $50 million per year,” on EV product development. Will that be enough? But the problem the two wheeled industry has is they don’t have a Tesla-like dynamic with a “Tesla motorcycle company” to keep their feet to the flames. Like wagons circling around a campfire, it seems the big four: Honda, Kawasaki, BMW, and Suzuki, just like their car counterparts when it comes to EV and AV tech, are all in perpetual concept vehicle mode. At least there are VW and GM with plans ready to look beyond Tesla in 50 years to dominate the world at least with EVs. On the motorcycle side however, like Harley Davidson, not one has a BEV motorcycle in production at least in North America, as they wait around to see what new product the other will tool up in their plants for. For those companies that are waiting, there are those startups more than willing to seize the moment of their indecisiveness and break with opportunity. There are less than a half dozen startup companies that are more than willing to provide younger customers an EV motorcycle they’d love to ride at the expense of companies like HD or the big four. Alta Motors and Zero Motorcycles, both in California, have a $10,000 or less option to consider. Energica is an Italian company starting sales of e-motors in the USA. Harley purchased an equity stake in Alta Motors so hopefully the partnership will be mutually beneficial. With young start ups staring the legacy companies in the face perhaps this will shake things up in Motor Bike City. In the meantime looking in house provides no realistic solutions. Unlike Lambo, or Bentley, or even Tesla that developed a specific product to get them out of their predicament, there is no Urus SUV, no Model 3, no Spur, no Conti GT, not even a Harley golf shirt, or Harley leather jacket, or Harley sunglasses in the current lineup that can save Harley Davidson. What is Harley to do? Start from scratch using the Harley Davidson Electric Motorcycle! Harley doesn’t have a Hail Mary Mass Appeal Model that they could sell across the market. Remember their halo and apex model is the iconic ain’t going nowhere because I’m the bad assed Harley, the 798 pound 1340 cc Road King, but the bike is so big, so chromed, so expensive, and so targeted demographically it typifies the problem of some of Harley’s lineup. So Harley has to start from the ground up. What’s with Millennials and Cars and Motorcycles? Millennials see motor vehicles simply as conveyances of getting them from Point A to B with little fanfare, similarly the way Mr. Spock would have logically reasoned on Star Trek when he was alive. Many of them don’t have licenses. Only about 60% of today's 18-year-olds have a driver's license, compared with 80% in the 1980s, according to a study from the University of Michigan. They would rather car or ride share, get a ride from a friend, or take public transportation. They don’t identify with brands as others do, except maybe their cell phones, nor do they have an emotional zest to drive or own a Ford Mustang or ride a Harley Electra Glide or a Road King. They don’t care to know what “four on the floor” or “three on the tree” or a “puffer” or a “blower” is. A lot of this may also be about postponing ownership to not have an interest yet, as opposed to avoiding it. One of the problems of their own doing, is that car makers have priced themselves out of the Millennial reach of some of their products. Car subscription services is one of the benefits that compensates for this Millennial offset. It is now too expensive or impractical for an average, if not many a Millennial to own his/her own car. And even HD’s lower range lighter weight models aren’t cutting it for them. To turn them on a vehicle needs to be practical first. So getting this demographic to buy something not flashy, more practical, more high tech, more environmentally conscious, looks good, rides good, and way less expensive are all adjectives that do not describe most of the Harley model range, and Harley needs to come up with solutions for these young people fast. Harley has also tried other methods like riding academies and teaming up with their Buell division to attract younger riders with limited success. In fact Harley Davidson is determined not to repeat what’s already happened to luxury auto or motorcycle companies they saw alive during their existence go dead for the same reasons they’re facing, including Indian, Packard, Pierce-Arrow, Duesenberg, etc., not after what they’ve been through. HD is the only of two American motorcycle companies that survived the Great Depression and they also survived the Great Recession, but at a terrible price. So until HD determines what a Hail Mary mass appeal model is to help them, Harley Davidson has to figure what that sweet spot is to allay present customer fears while showing a willingness to change their image and products as they’re searching for new ones. And the message has to be clear: HD isn’t changing anything for the base, but at the same time reach out with an open hand and heart to their sons and grandsons, and yes their daughters too, which is part of their demographic problem, by HD offering them something HD has never offered, or even seen before as a Harley Davidson electric motorcycle product. Welcome the new old Harley Davidson. WARNING: for you old schoolers like me, be prepared to be shocked because some of these new products look nothing Harley Davidson. And this underscores the seriousness of the problem. 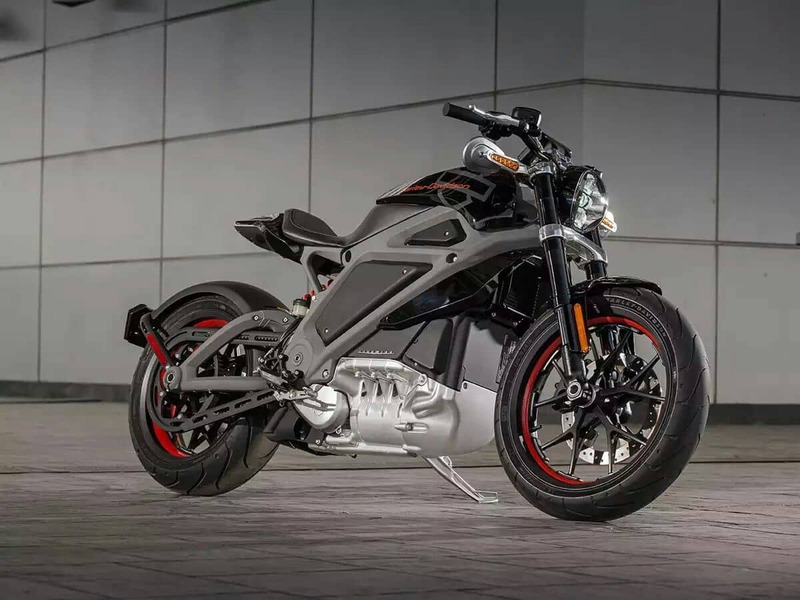 So Harley Davidson will begin a metamorphosis by integrating electric technology into their premium range, starting with their Livewire concept bike demonstrated on YouTube by Jay Leno. Debuted back in 2014 the bike has 74 horsepower with a top speed of 93 mph, and a 460 lb battery pack that has a 50 mile range. By the year 2022, according to TechCrunch, COO Michelle Kumbier says Harley will have 5 EV bikes in production, two by 2022, and the first e-motorcycle will available in 2019, that’s the Livewire e-cycle in showrooms by August. The plan also calls for e-bicycles and e-scooters for production, even more gas cycles for the emerging markets like China and India. They have a lot of headwind running against them, but there’s no doubt history is on their side no matter the challenges they face. So far. They’re still here standing tall. Time will tell if Harley Davidson is worthy enough to have Millennials come into their fold finally, and if their Harley Davidson electric motorcycle model range is truly diverse enough to save their brand. What’s you take on Harley Davidson? Think they’ll make it? Let us know in the comments section below! Tesla should have done this long time ago. I was thinking that making electric motorcycles would have been much easier than making an electric Semi. I wonder why Tesla didn't make EV motorcycles long time ago and left the opportunity for Harley Davidson. Funny you should mention. When I finished writing this the other night I asked myself the same thing: why didn’t Tesla do the motorcycle scooter thing as well, even e-bikes? The profit margin I’m sure is bigger and the aggravation I’m sure is scaled down. Less need for a tent. Like BMW once you get your 2 wheeled ops going that can fund your 4 wheels.